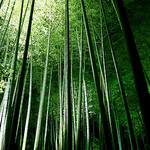 A bamboo forest is a restful place. 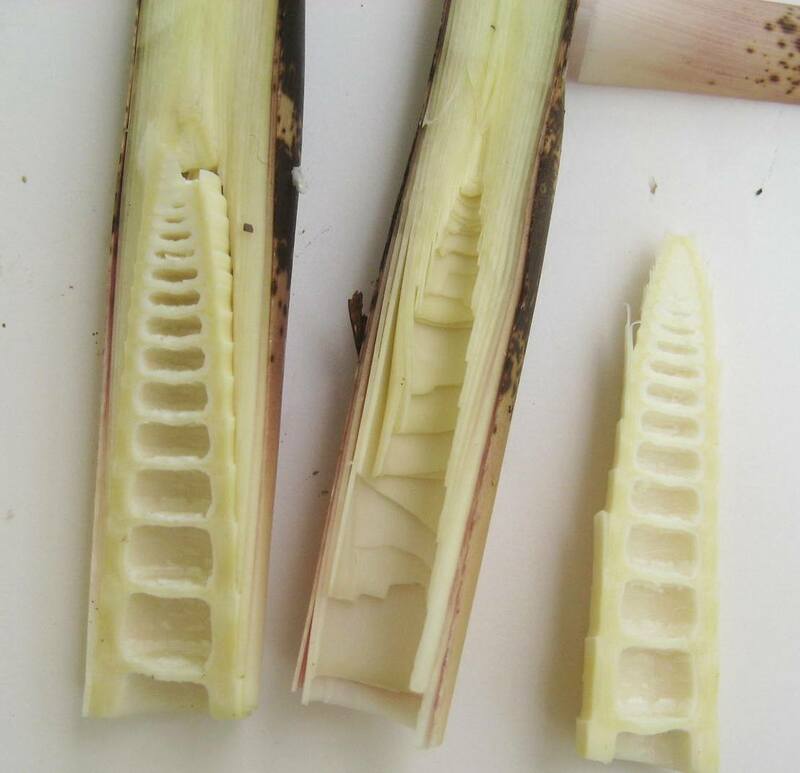 I have created my own walk-through bamboo forest. While not on the awesome scale of the giant forests of moso bamboo one might find in Japan, say, or Taiwan, it is not without delight. The bamboo here was planted over 30 years ago. The grove I have been working in has not had any maintenance lavished upon it except for a yearly slashing of the new shoots that stray too far from the grove. 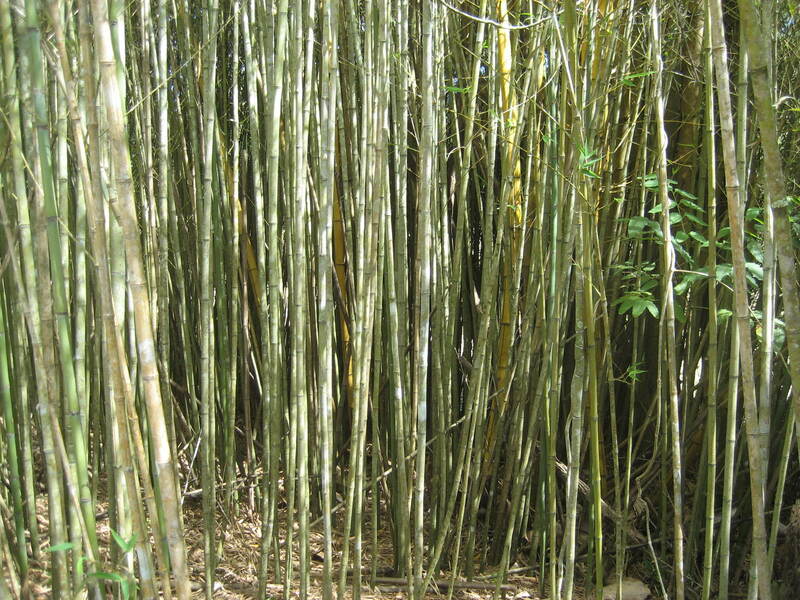 A few weeks ago, this grove was a mass of dead and live bamboo too dense to squeeze through. Bottom end of grove before. The yellow bamboo you can see is a stand of painted bamboo completely surrounded by the smaller, green running bamboo. Bottom end of grove after. 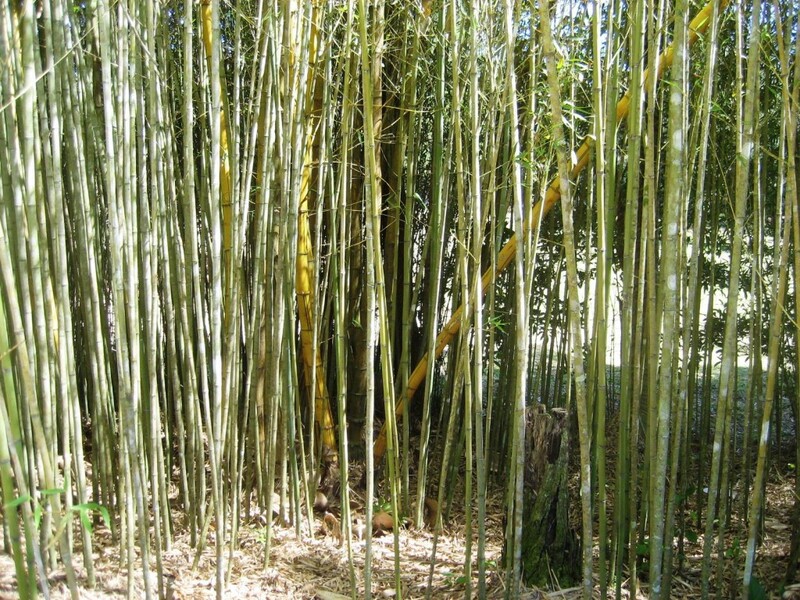 Today, it is a 33 metre long by 10 metre wide grove of bamboo that is a pleasure to walk through. Admittedly, it is a bit tight in places, but easy for someone of a healthy weight. The earth underfoot is gently cushioned by 30 years of bamboo leaf detritus. The gently swaying canopy overhead provides welcome shade for the visitor and safe haven for small birds. Creating the walk-through forest was not hard work, just time-consuming. 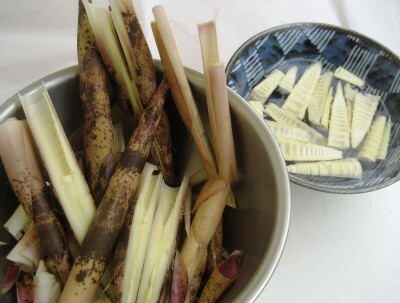 Each stem of dead bamboo was removed from inside the grove. 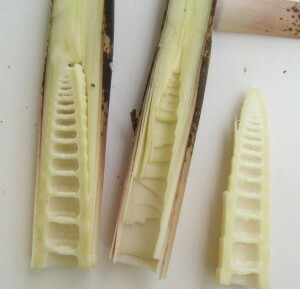 Bamboo that was not growing vertically was cut out if it impeded my exit route. Sometimes only one culm at a time could be dragged out. I plugged away at it for an hour or so a day over several weeks. 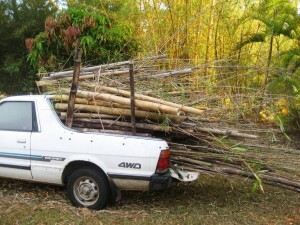 The numerous loads of dead and surplus culms were taken to an allocated spot in the paddock using the trusty old Brumby. The 4 horses that live in the paddock are always really interested in the contents of the Brumby. They often impede any unloading, looking for fresh bamboo leaves to snack on. 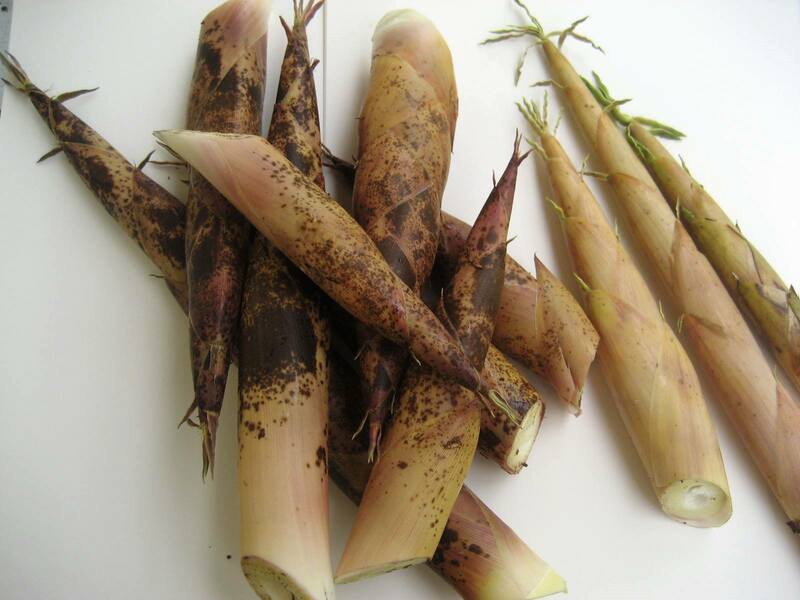 Do you have any experience with culling your own bamboo forest? 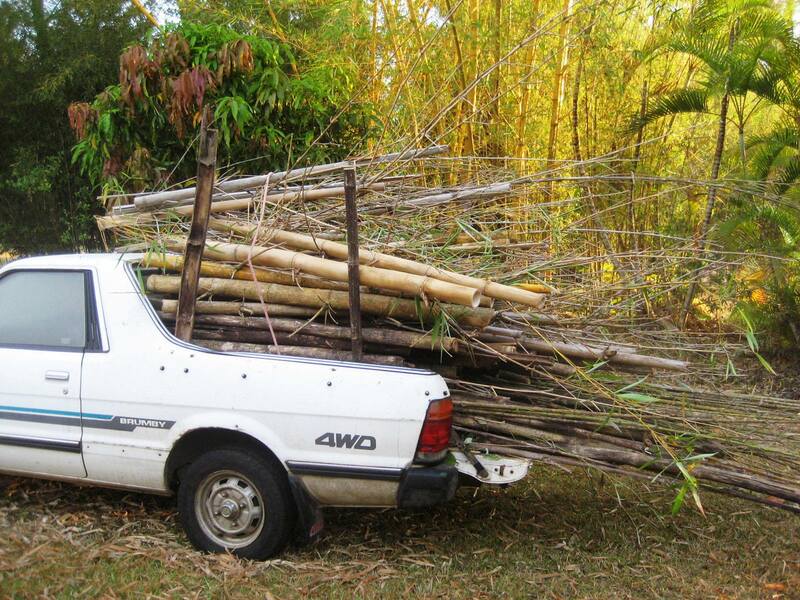 This entry was posted in All, Bamboo in the garden and tagged bamboo, bamboo forest, bamboo maintenance on 12/11/2013 by Deb.